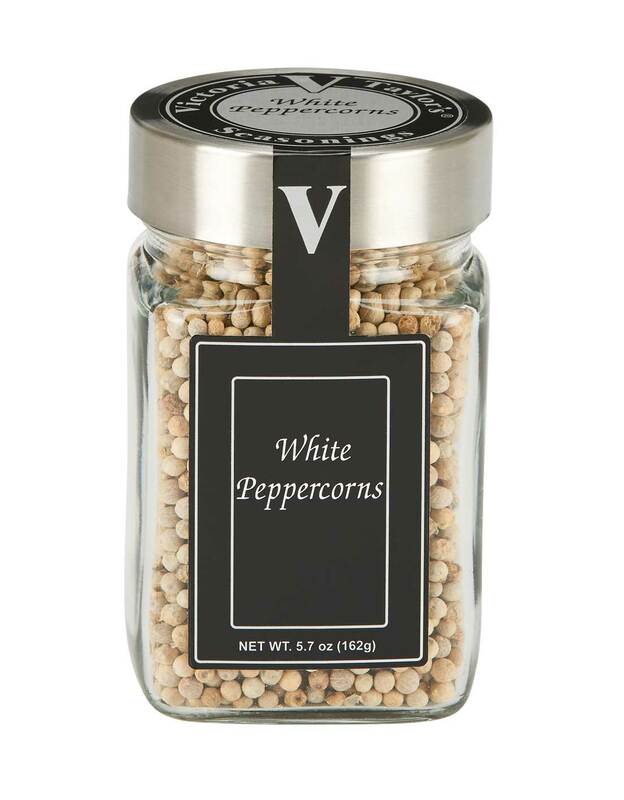 Victoria's White Peppercorns are ripe pepper fruit that have been soaked in water to remove their outer black skin and then dried in the sun until they achieve their creamy-white appearance. The resulting white peppercorn has the characteristic spicy pepper flavor with a bit more pungency and heat. White pepper is often used in lightly colored sauces to maintain their creamy appearance.